In continuation of my CALABARZON trip, I have decided to go to Laguna. If you are going to look on the map, it is just below Metro Manila and beside Cavite. But if you were to travel from Cavite to Laguna via public vehicle, it will take 2-3 hours. In my case, from Bacoor to SM Molino then to Festival Mall in Alabang. Then I went to the Alabang Terminal, got into a jeep going to Balibago, Laguna. When I arrived in Laguna, the driver told me that I need to get off the jeep once I arrived in Walter Mart and ride in a trike to Enchanted Kingdom. 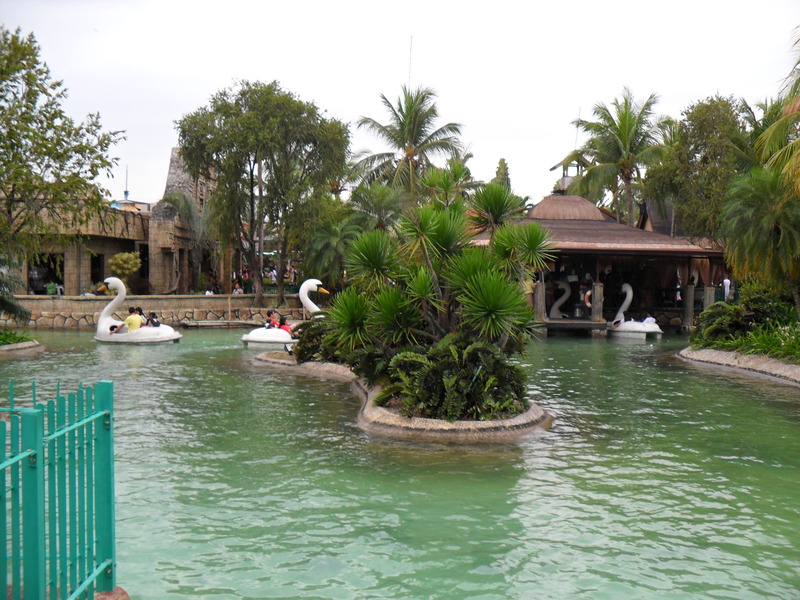 In Enchanted Kingdom, the ride-all-you-can cost only PhP500. I arrived there around 1500H. I started following the queue in Boulderville then the Anchors Away. Anchors Away is a really good ride to start your day in EK. It is heart thumping but not that nerve wracking. Then, I tried the Space Shuttle Max, it was hell of a ride. I tried it twice, it was amazing and wanna try it again. I was looking for something that would really knock me off of my consciousness and will make me puke but Space Shuttle Max didn’t even give me goosebumps. It was around 6.00PM when I had dinner at Pizza Hut and then I tried the Scary House which was a big disappointment for me. It wasn’t scary at all, everything was flat, horrible and I paid an additional PhP50. Then, I tried also the Dodgem or the bump car. After that, the parachute thingy and lastly, I tried the EKstreme. It’s a ride that you can also see in Singapore with an additional fee of PhP50, I think. It’s like bungee jumping but you are sitting. If you have experienced the PLUNGE in Danao, Bohol, its comparable to that but it only takes seconds and you’re done with the ride so kinda less for the money you paid for. But I dare you to try it. Here are the photos I took during my trip in Laguna.